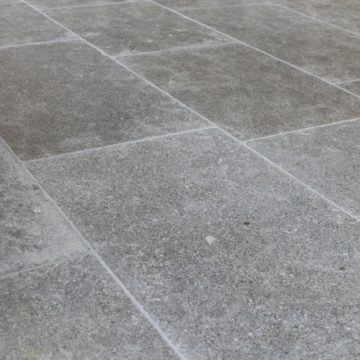 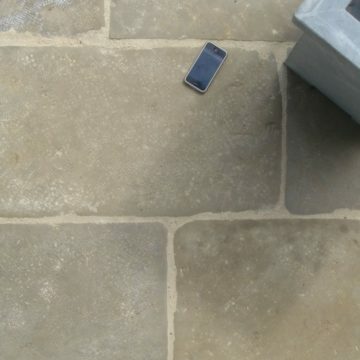 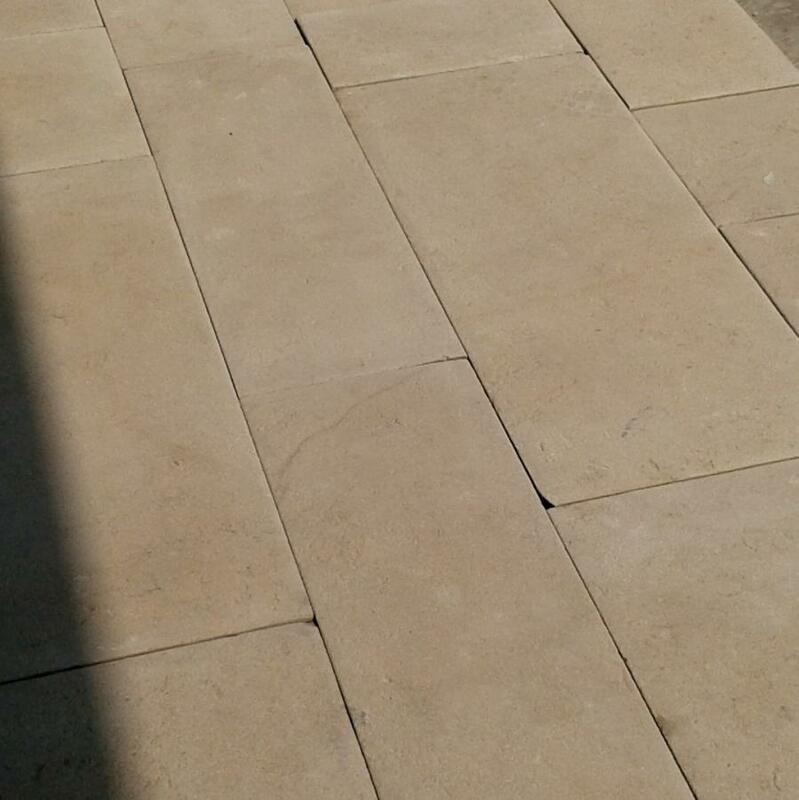 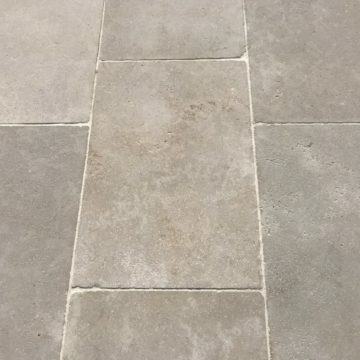 Limestone flooring with light bush hammer tool marks, aged. 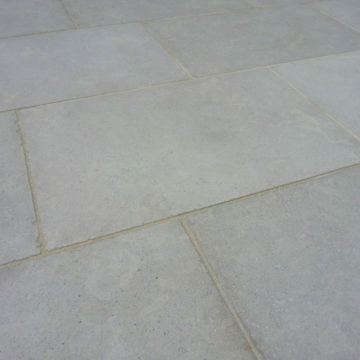 Format is two band widths 25cm (9.85 inches) and 40cm (15.75 inches) x mixed lengths. Photos in shade, and in sunlight.